Brown Girl Dolls were birthed out of my desire to share my grandma’s legacy of love through crocheted dolls. When I was young I asked my grandmother, Dorothy, to crochet a doll. Her response was she didn’t know how. I believed that she could make anything and I asked if she would try. Well, she crafted my first doll and named her Lovie. Not long after that she made Kermit the Frog, Miss Piggy, Poppa Smurf, Smurfette, Handy & Brainy Smurf. She took on the challenge of creating crocheted dolls because she loved me and I believed she could. My grandmother continued sharing her love by crocheting items for all her grand and great grandchildren. In September 2015 a good friend challenged me to create a doll. I took on the challenge without hesitation because I believed I could create a doll with my grandma’s help. Grandma resides in heaven now yet everytime I crochet it’s like being in a room with her again. I am a crochet artisan because she took the time to train me and for that I am grateful. 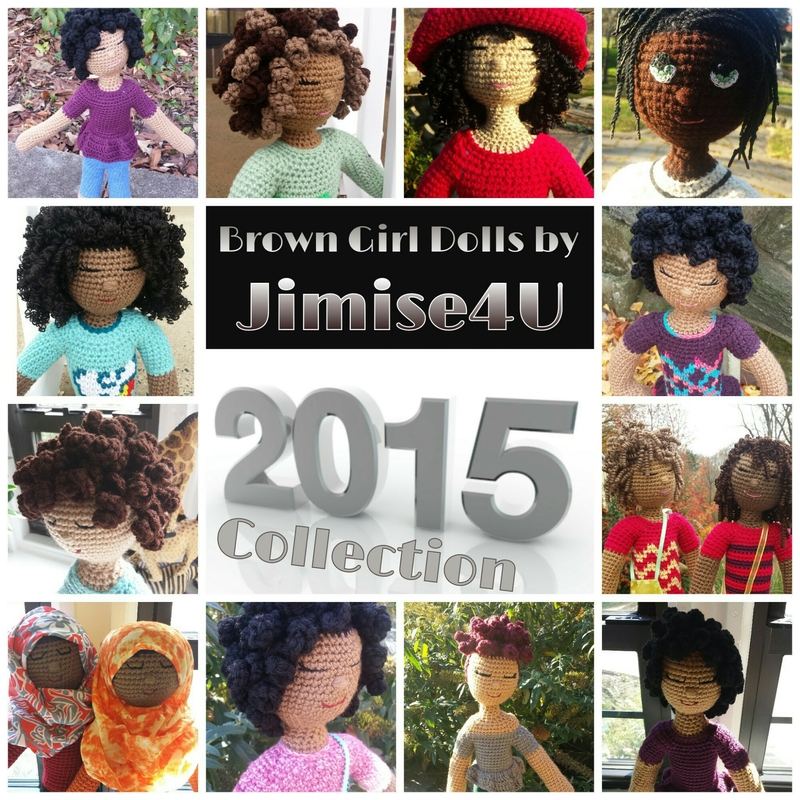 Brown Girl Dolls are unique, customizable and craft with the recipient in mind. You have the choice of skin tone, hair, primary color of the outfit and a consultation to get to know more about the recipient. We have a large range of additional customizations available… eyes, shrugs, removable outfits, etc. Let us know what you are looking for and we can create it! Contact us when you are ready to place your order and/or browse our Etsy listings here! !